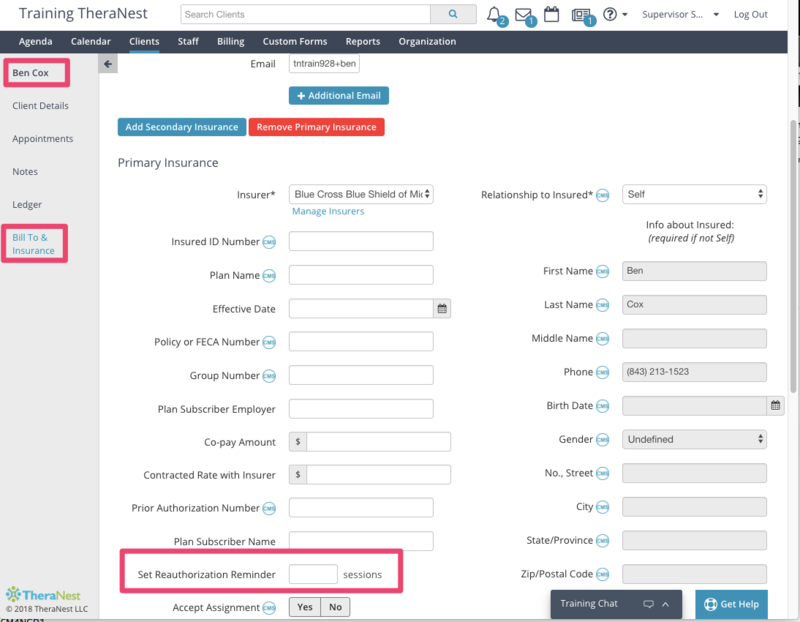 TheraNest users can use this field to count down the number of sessions a client has been authorized for. 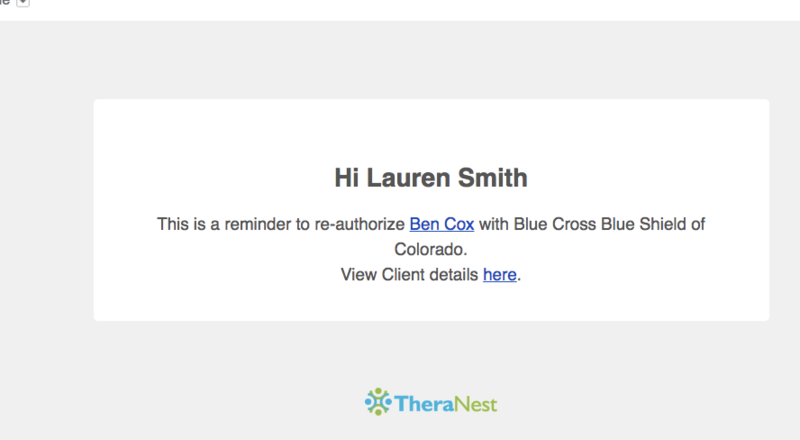 To set a reauthorization reminder the TheraNest user must have Billing permissions or higher. IMPORTANT: only the staff members assigned to the client will receive the authorization reminders. If you are a biller or admin and you are NOT assigned to the client then you will NOT receive the reminder notification. There is not a way to set an date for the reauthorization reminder or an expiration date at this time. The reauthorization reminder counts down the number of KEPT sessions from the day you enter in the number. So if the client was authorized for 10 visits and you've already had 1 visit with them you'll want to enter in the number 9 to not count that initial visit in the reminder. As kept sessions occur this number will remain unchanged in appearance but it is in fact counting down. There is not a way to set a date for the reauthorization reminder at this time. You will receive a notification when the number has been met.